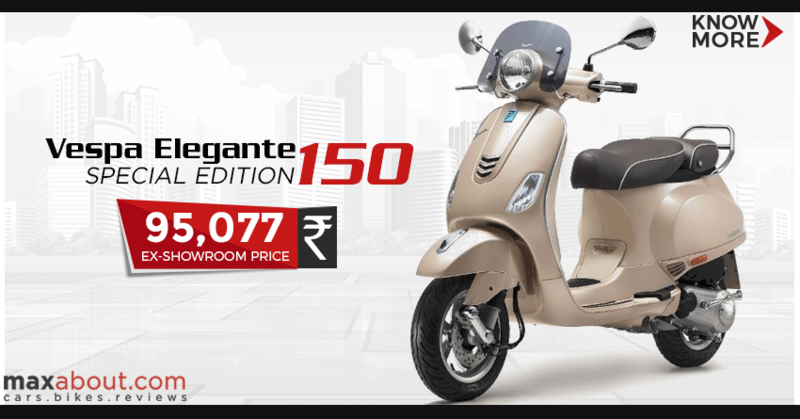 Vespa Elegante Special Edition was recently launched in India for INR 95,077 (ex-showroom Pune). The scooter now feels more premium with the addition of bigger 12 inch wheels in place of the regularly offered 11 inch front and 10 inch rear wheel. It comes with special shades and more standard accessories than any other version. 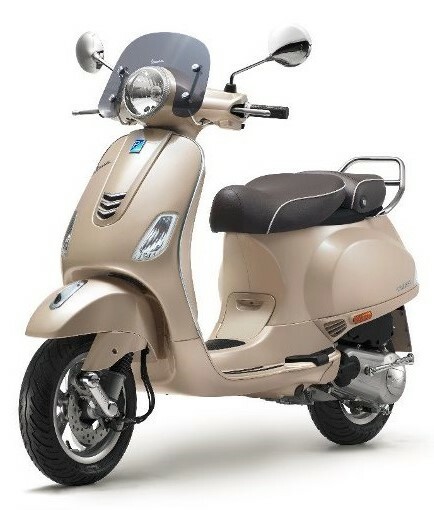 The 150 cc premium scooter is one of its kind and comes in two special shades, Pearl White and Beige Unico. Beige Unico is inspired by the beauty of Italian beaches while Piaggio India offers tinted fly screen, two piece leather seat and Elegante badge on their special edition scooter. 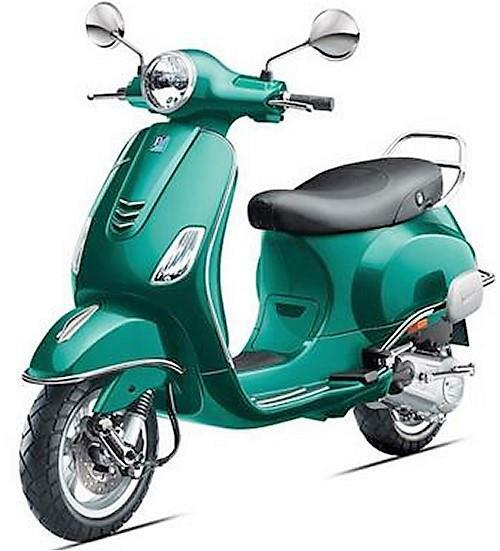 Vespa Elegante also comes with a rear grab-rail but excludes the front and rear guards of the VXL 150. The use of bigger wheels make it feel even more special as it gets added ground clearance and a commanding feel of drive when compared to other scooters of India. Elegante uses the same 150 cc engine as the Vespa VXL 150, producing a max of 11.6 HP at 7000 rpm and 11.5 Nm at 5500 rpm. The high price tag makes it an expensive scooter to buy as most others are prices around INR 60,000 (on-road). The use of monoque frame, aircraft grade materials in its built and premium suspension as well as brake components helps it justify a bit of its price tag. It directly rivals no other scooter in its segment.